Through its Terms of Reference, Laridae’s Advisory Board provides advice to Laridae’s management team as we set and implement our strategic plan. The Advisory Board holds no fiduciary role, but rather offers Management advice and counsel, evaluates growth opportunities and risk, and lends subject matter expertise from time to time. Laridae benefits immeasurably from the Advisory Board members’ expertise, creativity, and tough questions. They bring diverse backgrounds—across sectors, industries, and professions—to our Advisory Board meetings. We are grateful for their time, and their commitment to the future growth and success of Laridae and the clients we serve. 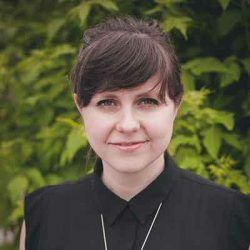 Fynn Leitch is the Curator at the Art Gallery of Peterborough where her responsibilities include the development of exhibitions and educational programming, management of the Permanent Collection and participation in the city’s public art initiatives. From 2011 – 2014 she was Director of Peterborough’s artist-run centre, ARTSPACE, where she was responsible for developing innovative programming, enhanced audience engagement, developed an onsite Media Lab and renewed the centre’s commitment to critical writing and publishing. 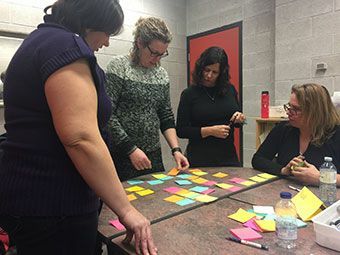 Past board experience includes the Artist-Run Centres and Collectives of Ontario, ARCA National Conference, the Arts Culture and Heritage Advisory Committee and the Electric City Culture Council. She has participated extensively in committee work, juries and conferences regionally and nationally. Fynn has an MA in Visual culture and a BAH in Art History from Queen’s University. Ross Garland is a senior executive with more than 25 years’ experience in the industrial and energy sectors. He served as Senior Vice President and General Manager of Enercare Inc.’s sub-metering division where he led a successful operational and financial turn-around. Prior to this, Ross spent 11 years with General Electric serving in several executive P&L roles including leadership for GE’s Thermal Power and Energy Services businesses in Canada as well as GE’s Large Industrial Motors business where he led that global business through international expansion and improved profitability. Ross’ previous leadership experience also includes Siemens where he served as Vice President, Europe for the industrial sensors business, and Milltronics Ltd., where he held several operational and international development leadership roles. Ross is a past board member of several subsidiary boards of GE, Siemens, and Milltronics as well as a private company – International Environmental Systems. He also served on GE Canada’s subsidiary board and its pension committee. Ross was a board member for 11 years with the Peterborough Regional Health Centre where he chaired several committees including having served twice as Chair of the organization’s first Quality Committee. 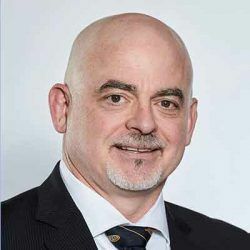 Ross holds a Bachelors of Commerce (honours) and MBA from the University of Manitoba and is a graduate of GE’s executive MDC, BMC programs and is GE Lean Six Sigma trained. He obtained the Chartered Director (C.Dir.) designation in 2017. Jane Parr is a Senior Human Resources Leader with extensive experience in both the public (Municipal and Health Care) and private (Manufacturing) sectors. 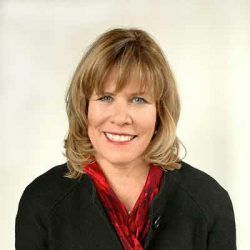 Currently, she is the HR Director for the County of Simcoe Prior to Simcoe County, Jane worked for the Sinai Health System (Mount Sinai and Bridgepoint Hospitals) as the Senior Director, Organizational Development, People and Workplace Strategies. She managed the organizational development, labour and employee relations, and occupational health, safety and wellness strategies. She led the development and implementation of a system wide people change management framework incorporating psychological safety and emotional well-being with traditional change management processes. From 1999-2010, Jane worked at the Peterborough Regional Health Centre where she was the Vice President and Chief Human Resources Officer. An honours graduate of Queen’s University Bachelor of Commerce Program, Jane has spent her career providing leadership in human resources holds the designation of a Certified Human Resources Leader (CHRL). She has been a long-time member of the Peterborough community, and has been a member of the Peterborough Rotary Club, a board member of the Peterborough and District United Way, the Art Gallery of Peterborough, and the Red Cross Society.